To be the trusted and objective advisor to Information Technology, Financial and Human Resources senior executives of Fortune 1000 companies, as they make strategic decisions in the areas of enterprise and/or business process consolidation, outsourcing and shared services. Technology & Business Integrators (TBI) is a well-respected strategic management-consulting firm located in Montvale, NJ. Originally founded in 1964 to assist companies in securing additional data processing resources as needed, TBI “grew up” in the era in which the outsourcing industry and strategic sourcing initiatives have evolved across the business enterprise. Based on our core competencies in Outsourcing Strategy, and implementation Performance Measurement and Post Contract Governance, we have established a leadership position with Fortune 1000 customers. Those customers have included Air Canada, A&P, AT&T, Bank of America, Blue Cross Blue Shield, British Aerospace, Coors Brewing, General Motors, IBM, Merck Inc., NIKE, J.P. Morgan Chase, Pfizer and Procter & Gamble. Over the years, TBI has conducted hundreds of business process, information technology and strategic sourcing evaluations and negotiations for our customers. We have significant experience in every step of the outsourcing life cycle — from initial feasibility assessment to contracting, to service migration and program management as well as contract renegotiation. Today, we provide support to customers in business process outsourcing (BPO) and information technology outsourcing (ITO); provide assistance in consolidation and business process improvement to prepare for and enable transition to new sourcing solutions; and help desk insourced sheared services environments and TBI is a charter member of the International Association of Outsourcing Professionals (IAOP). TBI has successfully adapted our best practices and methodologies from our outsourcing consultancy foundation to support reorganization, service delivery management, governance and service level management improvement initiatives for customers. We have significant capabilities in IT and BPO strategy development for companies undergoing or about to undergo major change, which helps ensure sourcing solutions are aligned with and contribute to their business objectives. TBI consists of a team of seasoned professionals with an average of more than 15 years of experience working in executive or senior management roles. Our consultants have direct and relevant experience in all aspects of outsourcing and in a variety of business disciplines (e.g., Information Technology, Financial and Human Resources) and specialties (e.g., performance measurement, cost analysis and contract). While models and methodologies have their role, it is the application of these methodologies with real-world experience that benefits our customers. Gives practical and business knowledge, applied to customers’ specific needs continually delivers sustained advantage. 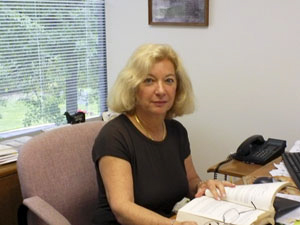 As TBI’s Corporate Counsel for twelve years, Ms. Goldman counseled the President of potential legal pitfalls in the corporation’s practices, negotiated, drafted and reviewed TBI’s Management and IT consulting contracts, negotiated employment and exit contracts, handled all regulatory filings for the corporation, and was responsible for corporate litigation, pursuing matters herself as well as obtaining and overseeing outside counsel. Mrs. Goldman acquired controlling interest in the corporation in 2013 and has been CEO since February, 2013. In this position, she performs strategic planning, spear-heads and oversees development of new directions for the corporation, including government work; oversees pricing, methodologies and marketing, including the corporate website; negotiates and contracts for services including health and business insurances, retirement plans and purchases of equipment and software.She manages day to day operations by directing the President in execution of strategic plans. Prior to joining TBI, Mrs. Goldman spent over 25 years practicing law. She handled corporate matters, and commercial litigation and employment matters. She managed her own law firm for several years where, in addition to legal matters, she managed a small staff, handled purchasing and managed the firm’s finances and made all business decisions for the firm. She has a J.D. degree from Brooklyn Law School and a B.A. from Brooklyn College with a minor in Economics. She is admitted to the Bars of the States of New Jersey and New York and the Federal Bar of the Third Circuit, and is a member of Women Lawyers in Bergen County. Mr. Goldman has over 30 years’ experience in the technology industry and is the President of Technology & Business Integrators, Inc. He is a recognized leader in the fields of strategic information technology consulting, vendor consulting and benchmarking. Additionally, he is a founding father of modern-day outsourcing. Mr. Goldman has consistently and steadily grown the business by 25% annually. Challenge and success are commonplace at TBI as Mr. Goldman persists in re-creating the firm to provide the most comprehensive suite of integrated business transformation services available. Mr. Goldman holds a Bachelor of Arts Degree from Brooklyn College. He is a sought-after speaker, heard on Talk America Radio Network and CIO Radio and has been quoted extensively. He has also published numerous articles in VAR Business, Business Finance, Crain’s New York Business, Computer Reseller News, Fortune Small Business, Business Week, Beyond Computing, and Computerworld. He is a member of the Association for Information and Image Management. In February, 2013, Mr. Goldman turned over the position of CEO to Betty J. Goldman, who was TBI’s Corporate Counsel for twelve years and who has a keen understanding of all areas of the business and its corporate objectives. Mr. Goldman continues as President of TBI, with responsibility for executing the company’ strategic plans and managing day to day operations under the CEO’s leadership. Mr. Stuart is a senior consultant and business men who has extensive experience in the insurance industry (AIG 7 years), banking industry (JPMorgan/Chase 8 years) and the technology industry (IBM 27 years). He holds 10 patents in Information Archiving and Storage. As VP & Global Head, AIG Disaster Recovery Program, Alan was responsible for the development and implementation of the AIG Corporate Standard Disaster Recovery Strategy. The strategy brought all of AIG’s IT systems worldwide into a uniform level of resiliency and recovery enablement. Alan was also responsible for the acquisition of collocation facilities in Hong Kong, Kuala Lumpur and Singapore. He joined AIG in 2007 as the Global Chief of Infrastructure Transformation, where he provided executive leadership implementing AIG’s Corporate Strategic IT Infrastructure Blueprint. He then led a diverse multinational team to consolidate AIG’s entire global IT infrastructure. The team consolidated over 400 server rooms in over 50 countries into 4 regional data centers. Over 10,000 applications and data bases were migrated and transformed with virtually no production downtime. During his long IBM career, Alan was the co-inventor of the IBM Storage Archive technology and became the worldwide executive responsible for IBM’s long-term data archiving and regulatory compliance business. He has written papers on the impact of legislation on IT and was appointed as the IBM Corporate spokesperson on regulatory compliance. Alan was frequently interviewed and quoted in press, sought out as a speaker at conferences, webcasts, and analyst briefings. In addition, Alan was the Chief Architect for ibm.com, responsible for the transformation (architecture and design) of the B2B business process and also led the internal testing effort to make IBM ready for Y2K worldwide. 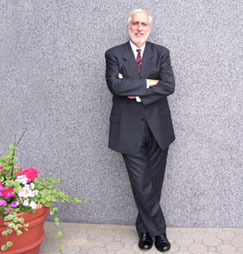 Alan was VP, Retail Banking Systems, Integration and Testing Architecture, at Manufacturers Hanover Trust (now part of JP Morgan Chase) where he led the merger of the Retail Banking Systems of MHT and Chemical Bank and subsequently, Chemical Bank and Chase Manhattan Bank. To accomplish these large bank mergers, Alan invented a new and innovative technique for testing and migrating large systems. John Sikking has more than 20 years of experience in the IT service industry, specifically in the area of strategic sourcing. His experience spans all four spectrums of the sourcing life cycle: strategy, development, evaluation and selection, contract negotiations and relationship management. Based in Washington, DC, Mr. Sikking became a private consultant in 2006 serving the Federal Sector. Mr. Sikking has managed several IT sourcing initiatives at both the business unit and Agency levels. Due to his diverse background and MBA studies, he provides his clients with the latest in critical strategic and IT thinking. He successfully applies business principles to IT challenges and crafts solutions that work both technically and within the challenges’ broader business context. Additionally, he has worked in the areas of electronic messaging (e-mail) systems, network administration, web design and implementation, and IT strategic planning. Mr. Sikking graduated from Georgetown University in 1993 with a Bachelor of Arts degree in history and a minor in psychology. In 2001, he earned an MBA, concentrating in general management and technology strategy, from Georgetown University’s McDonough School of Business. He is certified at the foundation level in IT Infrastructure Library (ITIL) methodology. In 2006, Mr. Sikking received his Project Management Professional (PMP) certification from the Project Management Institute (PMI). His PMI Identification number is, 747818. He is also a member of the National Contract Management Associate (NCMA) Washington DC chapter. Recent Cloud Experience – National Institutes for Health: Mr. Sikking led the Chief Information Officer – Commodities and Solutions (CIO-CS) Technical Evaluation team for a $20B acquisition of IT commodities and services. Specifically, he assisted the Government by leading the Technical Evaluation Team during the technical compliance, evaluation and Technical Evaluation Panel reports creation. Category 7 of CIO-CS is for the purchase of Cloud Computing and Cloud Storage services. Department of the Interior – Mr. Sikking engaged in advancing the federal acquisition science by designing one of the first Cloud Computing outsourcing procurements for Software as a Service (SaaS) in the Federal Government. Specifically, he assisted the Government in development of the procurement strategy, plan and approach; development and issuing of the solicitation; and Instructions to Offerors and Evaluation Criteria. Mr. Sikking is a citizen of the United Sates and holds a Secret clearance for the US Government. Ms. Vigna is the marketing coordinator for TBI, Inc. An experienced executive with expertise in organized marketing elevations, Ms. Vigna enhanced all printed materials, organized all marketing collateral, and is responsible for supporting all marketing related events. She joined the firm in 1998. Ms. Vigna’s wide knowledge ranges from developing and executing enterprise-wide marketing strategies to managing the creation and operation of complex multi-channel projects that includes editorial, creative, branding, planning and design, to develop marketing strategy and implementing all social initiatives that support key marketing objectives. Ms. Vigna is also the co-creator of the TBI website as well as the website administrator. Ms. Vigna was manager for a retail organization, Slater Enterprise, Inc., where she created the marketing strategy and support materials for its online business, wholesale and retail company. Drawing on her years of experience in marketing and retail, Ms. Vigna developed a creative promotional campaign for MeriTech, Inc., a network security company. Prior to joining TBI, Ms. Vigna owned a retail business where she enjoyed a successful career. She oversaw product design and development, utilizing current marketing trends to develop successful branding of the company image. Mr. Merideth has over 25 years’ experience in the technology industry and is the President of United Computer Technologies. Mr. Merideth has over 20 years of high-tech experience in business and technology an executive with a background that focuses on developing and implementing technology plans and actions to achieve business objectives. He is responsible for identifying new enabling technologies and application on the internet and other platforms for the company. Throughout his extensive career in computing, Greg has been involved with networking, secure, and distributed systems as well as computational science and engineering. He has published numerous articles and has been published in Information Week, Computerworld.